OK, so as a card maker I know that Christmas comes early. :) But suddenly, it is just around the corner!! Yikes. And that means more than just Lily's birthday too... it means the arrival of another little person!!! And here's a pair card I created with some of the new products. First, a card created with the Funky Snowflake die. I die cut the snowflake from some glitter card for a shimmery look. The sentiment is from the Christmas stamp set. 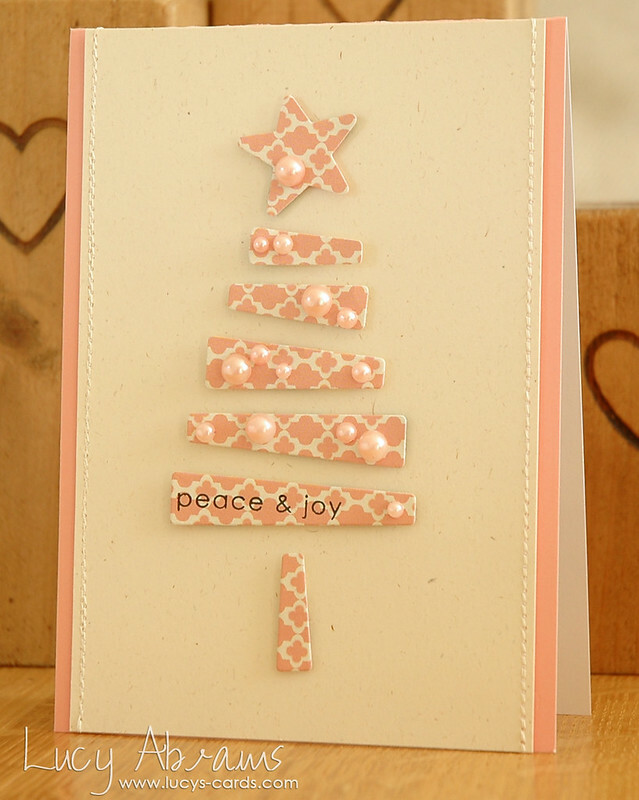 This card is created with the Layered Tree Die with a sentiment from Merry Trees. Super simple, and easy to create in multiples. More to come soon with these stamps and dies - they are FABULOUS. Absolutely LOVE your cards - so seet and pretty in pink! the snowflake looks great on the pink. Not a colour i really associate christmas with, yet it is so lovely! very pretty - great cards! I love the tree card and although I don't have a machine to cut dies I did cut some strips by hand and make a card like yours .I did give you a mention so people can visit your blog. 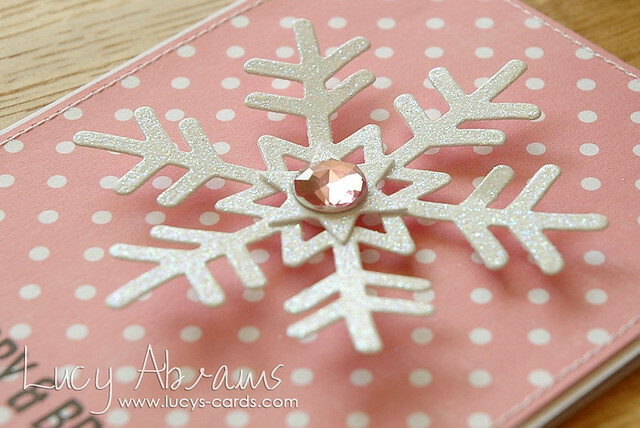 Love the pink card and snowflakes! Pretty!